CIFOR scientists Lou Verchot and Steve Leonard dicuss the main topics of debate in climate change policy. There is disagreement over whether further guidance is needed on safeguarding the rights and benefits of local and indigenous people in the REDD+ (Reducing Emissions from Deforestation and forest Degradation) initiative. Factoring in the contributions of non-carbon emissions to climate change—and measuring their effects—is fraught with complexity and uncertainty, with ramifications for who pays for emissions, and how much. The Green Climate Fund is gaining speed, with major pledges in recent weeks from the U.S., Japan and other countries. The next step: Spending the money. Watch the full video of their conversation, below. An edited transcript follows. Lou Verchot: Steve, I’d like to get your feeling as to where you think the negotiations are likely to go. What are the key issues we’re likely to see in Lima? Steve Leonard: There are a couple of outstanding issues. One which I think is particularly interesting is around adaptation and moving in the direction of whether to establish a global goal for adaptation. We’re seeing a significant change in terms of the balance between the discussion concerning adaptation and mitigation. The negotiations and the outcomes to date have been very mitigation-focused. And so I think that we can possibly expect the new agreement to be more balanced in that context. There’s a significant emphasis on scaling up finance, and so the recent IPCC report, which is emphasizing the urgency of addressing climate, is resonating through the negotiations in terms of finance. Another important expected outcome in Lima is the Intended Nationally Determined Contributions, or INDCs. Now, the discussion here is the scope of the contributions and whether that will be only limited to mitigation, or whether it will be a broader scope and include adaptation and means of implementation—so technology transfer, finance and capacity building. In terms of forests and land use, land use is expected to be included in INDCs. And there’s been some interventions to say that REDD+ will also be expected to be included as an INDC. So we’re moving in the direction at the moment to determine the scope of the information, the type of information that will be submitted as a part of country contributions in early 2015. Lima will provide a decision which will set out the scope of the information, whether it’s to be limited to mitigation, or whether it’s to be inclusive of the other areas—adaptation and means of implementation. The other side of the negotiations concerns the pre-2020 mitigation potential. And so there’s been a lot of work ongoing to establish where there is pre-2020 mitigation potential that can be scaled up between now and 2020. And there’s been technical expert meetings held on land use and more recently on non-CO2 emissions with some focus on the agriculture sector. So there will be an agreement that will come out of Lima there, intended to provide guidance and direction to other institutions within the UNFCCC—the Green Climate Fund or the Adaptation Fund or the technology institutions—to assist them in prioritizing the direction and the provision of finance. Verchot: Where do you see agriculture going in these negotiations? Is it coming out only in adaptation, or is it actually getting into the mitigation side of the discussion? Leonard: Just starting off with agriculture, it’s currently being discussed within the SBSTA, the Subsidiary Body on Scientific and Technical Advice, which is an advisory body to the Conference of Parties, or the broader UNFCCC framework. The agriculture discussion is currently being dealt with within the context of adaptation mostly. There is some consideration of agriculture in a mitigation context, and that came through very clearly in the recent technical expert meeting, which covered non-CO2 emissions. So, looking at the near-term potential in terms of mitigation from the agriculture sector, there’s a road map that takes the agriculture adaptation discussion through to 2016. Verchot: We hear a lot of talk that there’s a need for additional guidance in safeguards. Is there anything coming out of the preliminary discussions leading into Lima? Leonard: When guidance was originally developed, there were a lot of criticisms as to whether that guidance was adequate. And the reason that it was agreed on at that time was because there wasn’t enough in terms of demonstration activities and implementation of REDD+ and reducing emissions from the forest sector on the ground. So a lot of countries wanted to wait until there had been more experience and more lessons learned in terms of the demonstration activities to then feed into the discussion. Some are still saying that is needed. There’s the potential for this discussion to even continue … which isn’t such a bad thing, because the Safeguards Information System is intended to [evolve]. The main concern is whether further guidance concerning safeguards will be an extra burden that will slow the process down. So you have some countries that are further ahead in terms of implementation of REDD+ than others. But there’s a counter-argument to that when it comes to the capacity of least-developed countries in the context of whether there’s adequate guidance to enable them to put safeguards systems in place and [report] on safeguards. If any further guidance is to come out [in Lima], it’ll be guidance that attempts to take that balance into consideration. [Civil society organizations] and indigenous peoples are making a very strong argument in enhancing emphasis on participation in the implementation and reporting of safeguards. That will also be a significant component in the negotiations in Lima. Leonard: Lou, I’d be interested to know, in the negotiations in Bonn, in June this year, there were some concerns raised by Brazil in terms of finalizing the discussion concerning metrics and the linkage between metrics and the new climate agreement. 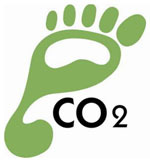 I’d be interested to know from you where that discussion is headed at the moment in the context of the current metrics issues within the Kyoto Protocol, and also the importance of non-CO2 emissions in the pre-2020 term. Verchot: Right. Well, the metrics issue is an interesting one. It’s a very technical one. And there was a lot of new information that came out of the IPCC report in the fifth assessment report with new “global warming potential values,” which fix a relative value between the different greenhouse gases relative to carbon dioxide. It allows countries to make trade-offs or decisions about how they’re going to deal with the different greenhouse gases and the mix of greenhouse gases in their policies. So, for example, if you’re looking at agricultural emissions and you want to deal with methane, you want to try to relate that to carbon dioxide—the global warming potential is one metric that you can use to relate methane in terms of carbon dioxide. So, so many tons of reductions of methane is equivalent to so many tons of reduction of carbon dioxide. Nitrous oxide is also another one that’s important in agriculture. All these have different warming potentials, and the discussion around the metrics is because none of the metrics are perfect. So the global warming potentials shift over the timeframe that you look at. So methane for example has a very high global warming potential if you’re looking at 20 years and a very low global warming potential if you’re looking over 100 years—because it only lives in the atmosphere for about 12 years. So if you’re looking at 20 years, most of what’s been emitted today is already out of the atmosphere. So that has a very variable warming potential. Nitrous oxide is a very long-lived gas. It stays in the atmosphere for over 100 years, so it has a very constant value as you look across time or timescales. But the global warming potential is not perfect because, although it’s called warming potential, it’s actually an energy measure. It’s not a temperature measure. And there are temperature measures. So if we’re trying to hit a goal of 2°C is the maximum warming we want to achieve, the global warming potential isn’t the best measure to use. It’d be the global temperature factor that would be a better one to use. The time frame that you use and the values you assign to these have a lot of uncertainty around them, so how do you factor that uncertainty into regulations, for example? So if you want to regulate emissions from airlines and you want to factor some of these things into the design and operation of your airlines, your planes—how do you take this uncertainty into account? So it has a lot of implications for between-country negotiations, for trade-offs, for implementation, just what the metrics are. And certain metrics have advantages to certain countries and disadvantages to other countries. Countries like New Zealand, 50 per cent of their greenhouse gas emissions come from methane from livestock. And so their big emissions reductions are going to come in a non-CO2 greenhouse gas. How does that relate to something that another country is going to achieve? If China is reducing its CO2 emission from coal burning, for example, how do those two countries understand what each one of them is contributing, and negotiate between them who is going to do what and who is going to make what sort of contribution? So it’s very technical but it’s central to what they’re doing. The good news is that the ultimate metric that’s used has very little impact on the overall cost of emissions reductions, but it does have an impact on who pays the cost—and that’s where the rub really is. Leonard: In terms of non-CO2 emissions, there was a technical expert meeting recently in Bonn in October. One of the interesting policy approaches that came out in terms of pre-2020 near-term mitigation potential was the landscape approach was specifically identified. It would be interesting to know how a landscape approach is relevant to non-CO2 emissions and mitigation potential. Verchot: The landscape approach is extremely important. The carbon emissions in landscapes only happens associated with land-use change, but everything is really the non-CO2 gases. So if you’re fertilizing crops, it’s nitrous oxide that’s coming out. If you’re managing soil, it’s nitrous oxide that you’re producing. If you’re managing manure, it’s nitrous oxide and methane that you’re producing. So if you want to manage these landscapes and take a landscape approach to it, you have to deal with all these gases because at least half of what’s coming out of those landscapes is typically not CO2 and these other gases. Verchot: I’d like to ask you, Steve, a bit about finance and the Green Climate Fund. We had a major commitment by the US Government of $3 billion. We know that the target is to get $10 billion in the door by Lima and then scale that up. Where is that going, and are we on track to meet the targets that people are setting? What can we expect over the next couple of years as we move towards Paris and beyond? Leonard: Over the first couple of years there were a lot of criticisms and a lot of people were commenting to me that they weren’t expecting that [the Green Climate Fund] was going to get off the ground. And the Green Climate Fund board has worked significantly hard to get all of the pieces in place to be able to have a framework that’s suitable to potential donors. There’s been a number of pledges made over the last couple of months. One of the most recent ones is the $3 billion pledge by the US. Japan have also recently announced a $1.5 billion pledge. … Questions remain as to when that finance will be delivered [and] over what period of time. The ultimate goal of the Green Climate Fund was to reach $100 billion and be mobilizing $100 billion in finance for climate adaptation and mitigation per year by 2020. We still do seem quite a long way off in that context. Verchot: There was a meeting recently in Barbados that had some interesting outcomes for finance for REDD+. Can you tell me a little bit about that? Leonard: [It] was the first meeting held by the Green Climate Fund after it had put what it refers to as its “eight pillars” to be in a position to mobilize finance. And it was also its first meeting after a number of pledges had come in. So the board had a much better idea as to what countries were seeking in terms of the fund itself. One of the interesting outcomes from Barbados was a decision concerning REDD+ and a results-based payments framework. And so the Green Climate Fund, out of all of the areas of sort of mitigation and adaptation, REDD+ seems to be one being singled out for further development. Now, there are some discussions concerning whether or not there should be a specific REDD+ window, and perhaps as things develop within the Green Climate Fund there might be more understanding as to the specific requirements for REDD+. Where the Green Climate Fund does need to do some further work are around alignment with the REDD+ Cancun safeguards and the Green Climate Fund safeguards, which are inconsistent with one another. So there does need to be a certain level of harmonization between those two different approaches. And also, in terms of non-carbon benefits, there’s currently no clarity within the Green Climate Fund as to how the fund will incentivize non-carbon benefits in the context of REDD+. And so that then takes us in the direction of discussion concerning mitigation -adaptation linkages to non-carbon benefits. For more information on the topics of this discussion, contact Steve Leonard at s.leonard@cgiar.org. CIFOR’s research on forests and climate change forms part of the CGIAR Research Program on Forests, Trees and Agroforestry.